We all had a nice day out at Warwick Castle the other day, so here is my view on the day out. First I am glad we got some buy on get on free (bogof) tickets s the ticket prices can be expensive if you going as a family, as adult price is £19.95 and child price is £11.95 (these are the gate prices), so we only paid for two tickets and not four. As we went in the school holidays there was a lot going on, not sure if this is all around the year. There was the bird of prey show, seeing these birds up close was really nice. They also launched the largest replica of a trebucket In the world, other shows that was going on was the jester show and the Warwick warriors show. We walked around the castle walls and up the turret staircases, be warned there are a lot of steps and parts are dark and can be costrifobic and because it is a one way system you have to go round most of it to get out. Once you at the top their are some great views of Warwick and surrounding areas, now I’m not one for heights but I really did enjoy this. From there you come out into the kingmaker This is different scenes from the ages of Warwick castle, there are waxworks of the people ie knights, servants etc and they are very lifelike. There are the sounds and even the smells that make it very realistic. The conservatory and peacock garden is well worth a look as there are loads of peacocks and they are simply amazing and beautiful, especially went they fan out there feathers with the rich colours. 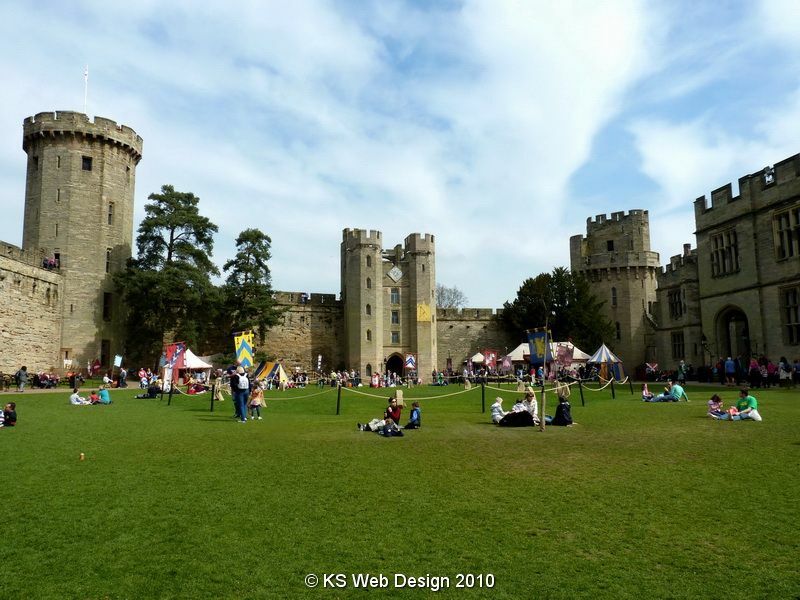 I have been to Warwick castle on previous occasions, but I have to admit this time was the most I have enjoyed it, though when I went before was about 10 years ago, so I would definitely recommend you visit Warwick castle. Have a look at my photo album for photos of the day out, either by clicking the link below or my photo albums link at the top of the page.